Length 8-11.5 mm. 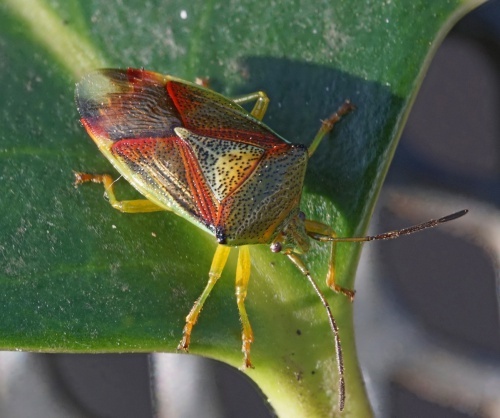 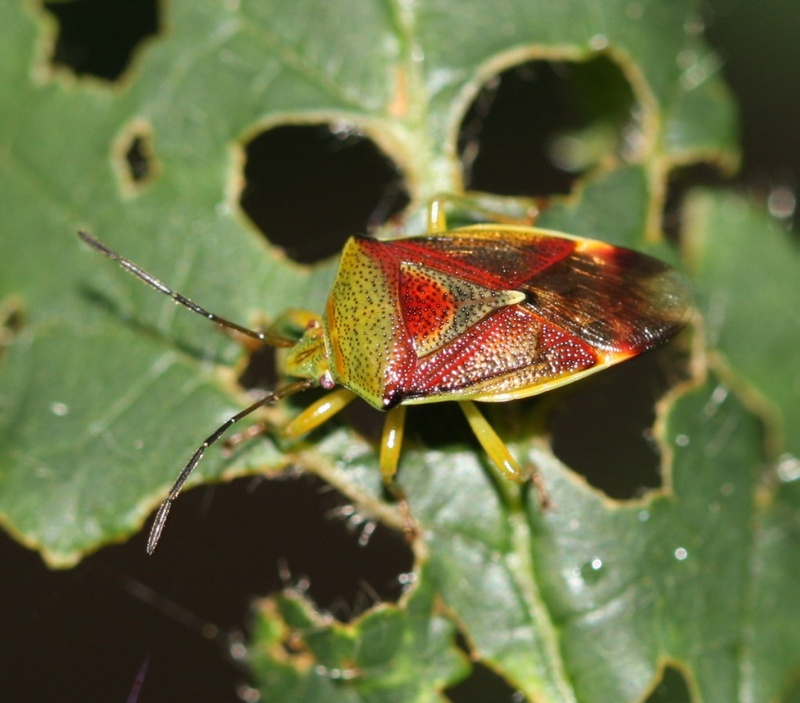 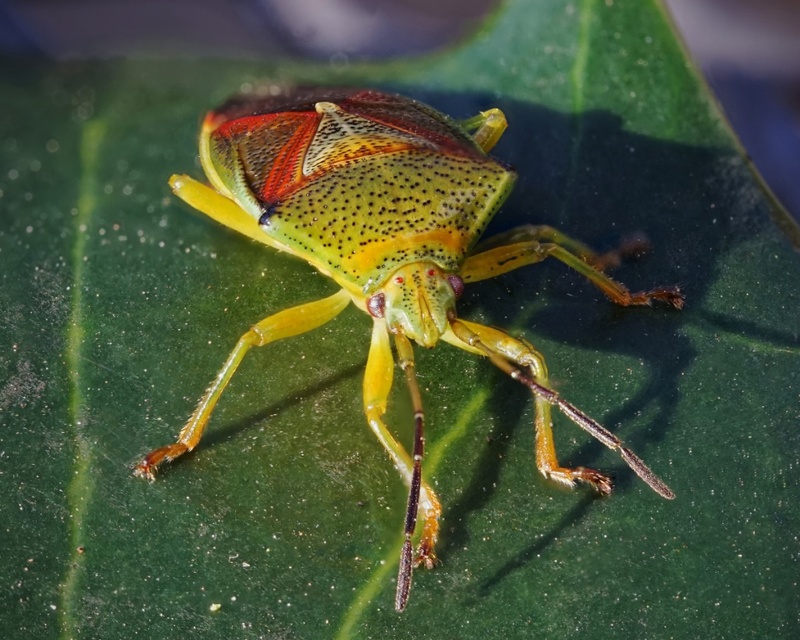 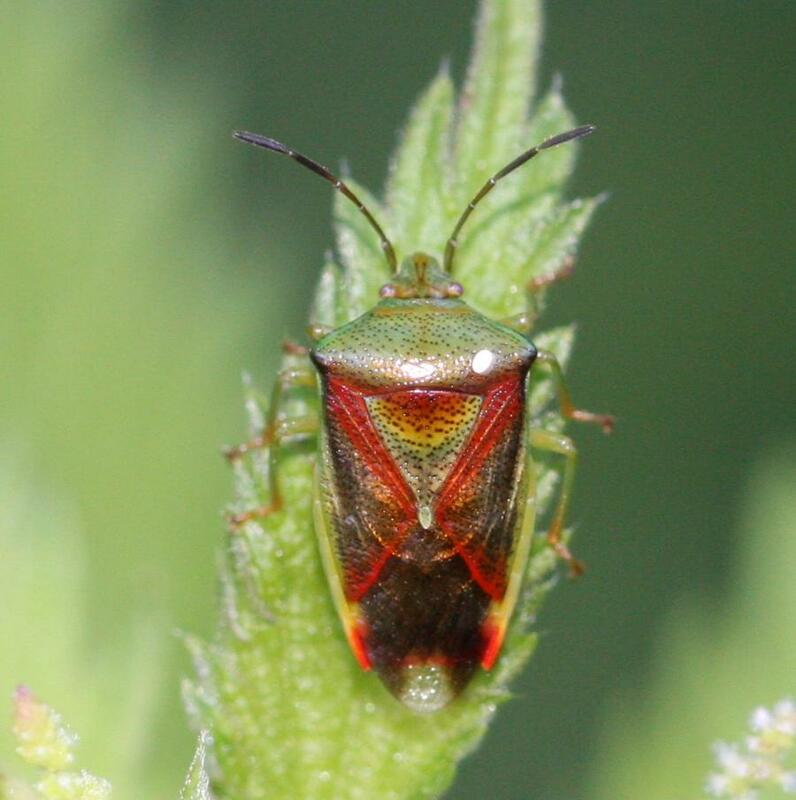 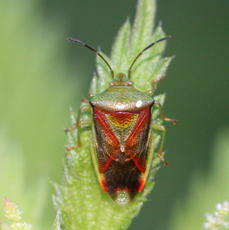 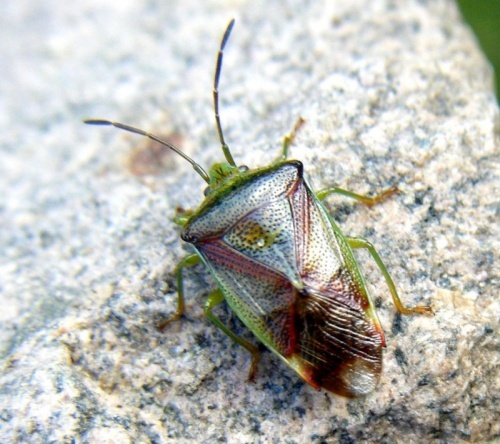 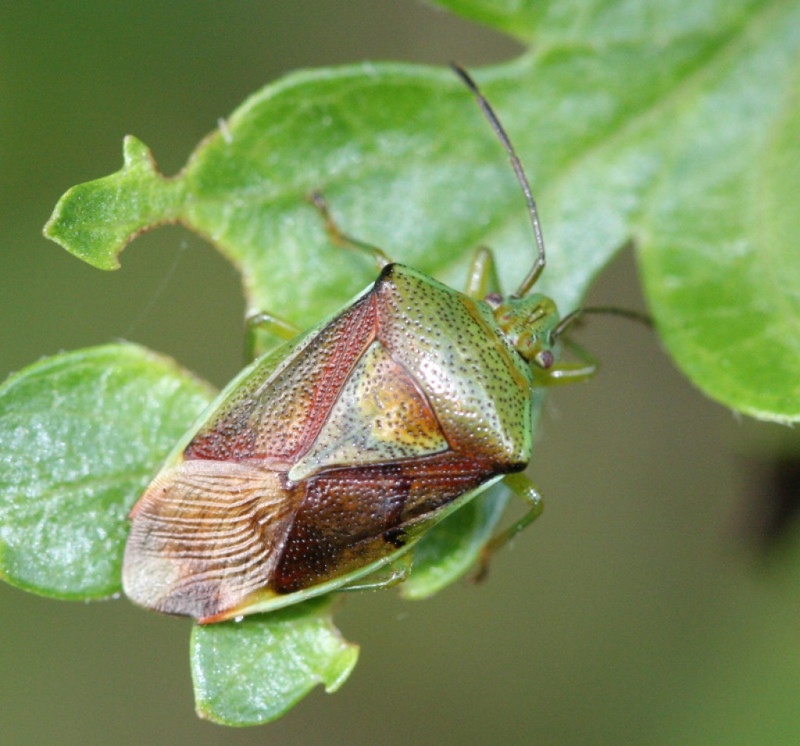 A distinctive species, although similar to the Hawthorn Shieldbug (see below). 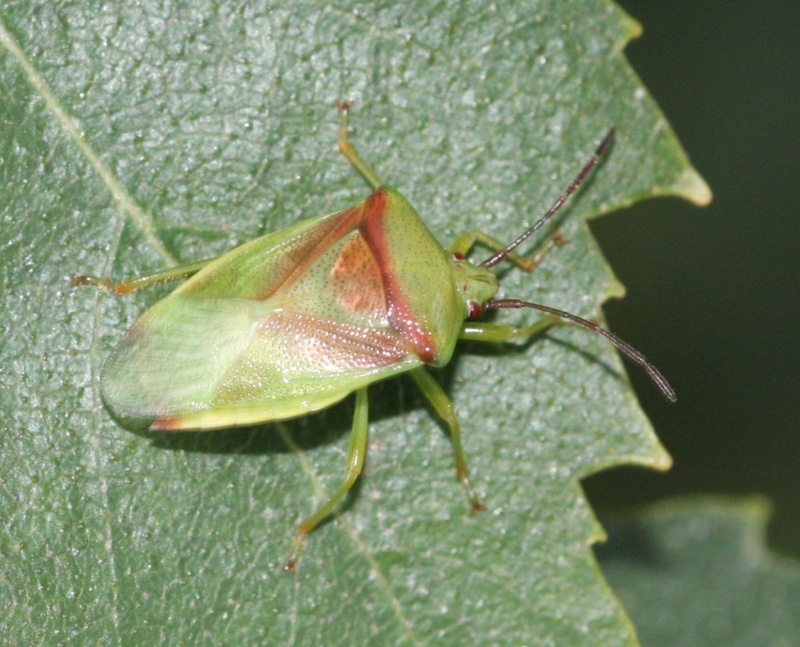 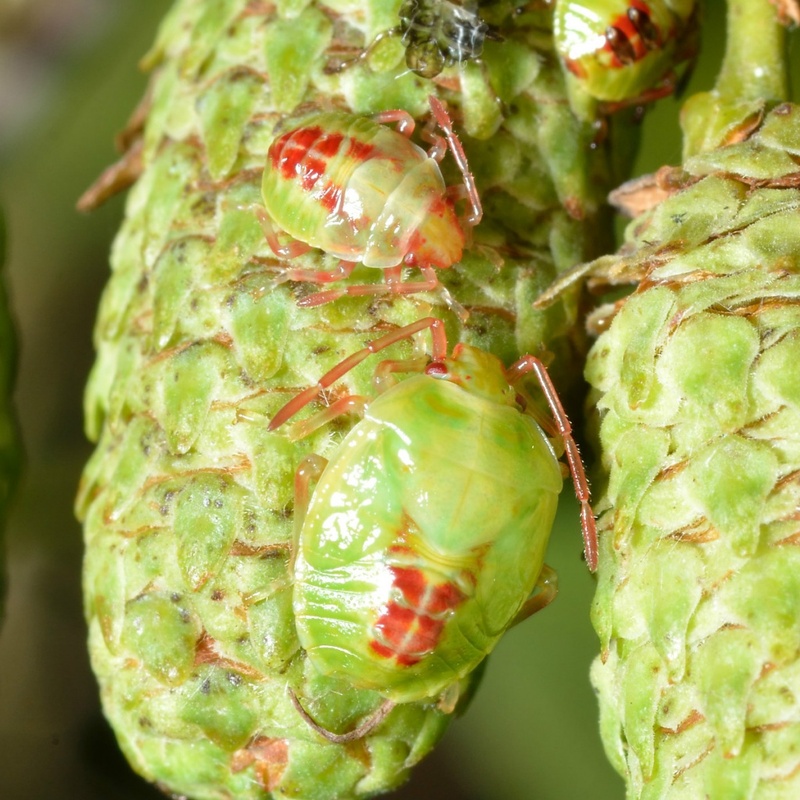 Confusion with the larger and more elongate Hawthorn Shieldbug (A. haemorrhoidale) is possible. 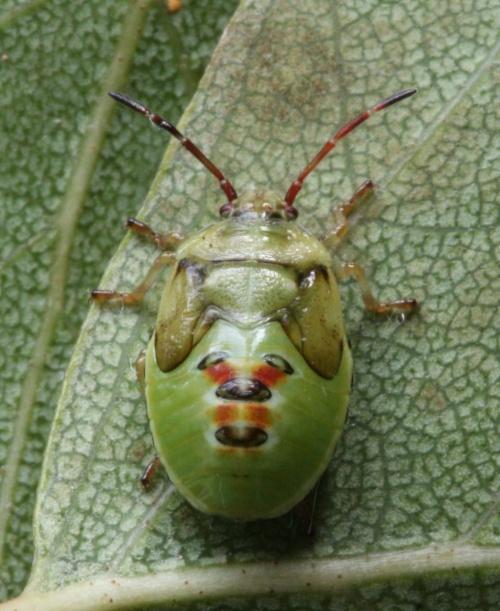 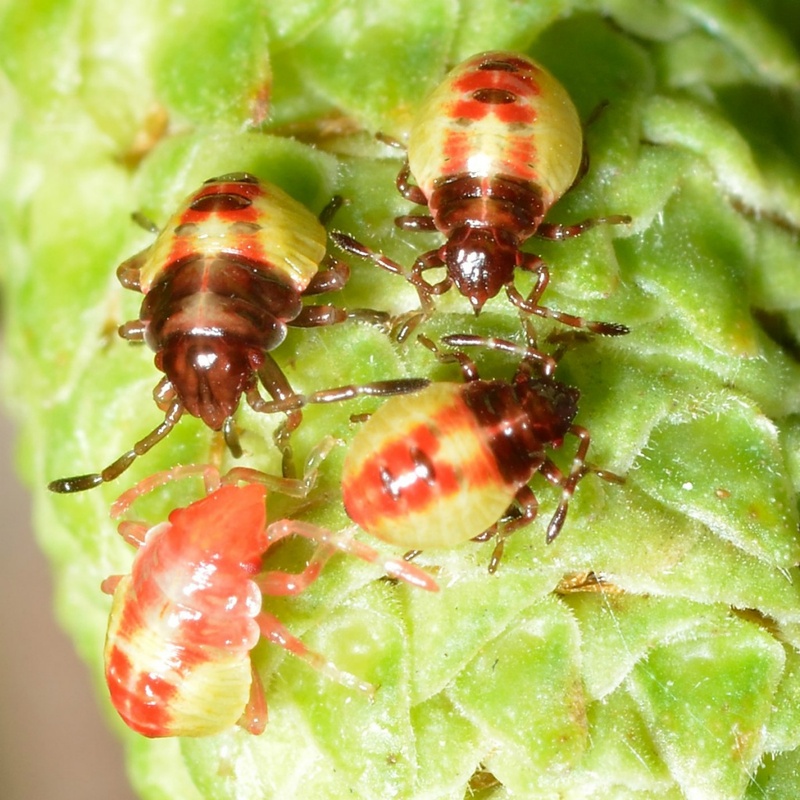 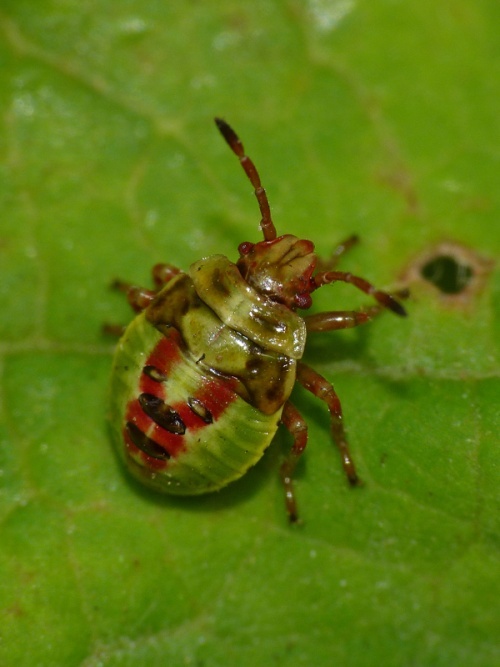 The lateral extensions of the pronotum are smaller in E. interstinctus, and are not marked with red, while the scutellum of A. haemorrhoidale is green and the abdomen frequently red-tipped. 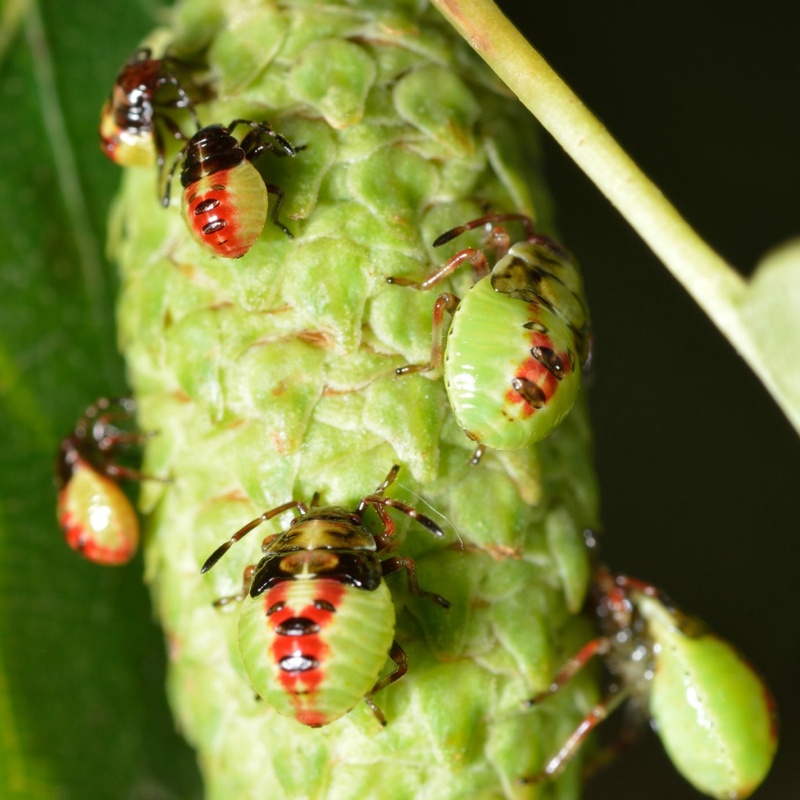 In mixed Birch woodlands, or on isolated Birch trees. This species overwinters as an adult, emerging and mating in the spring. The larvae feed principally on Birch, but may also be found on Hazel and Aspen; the new generation is complete by August. 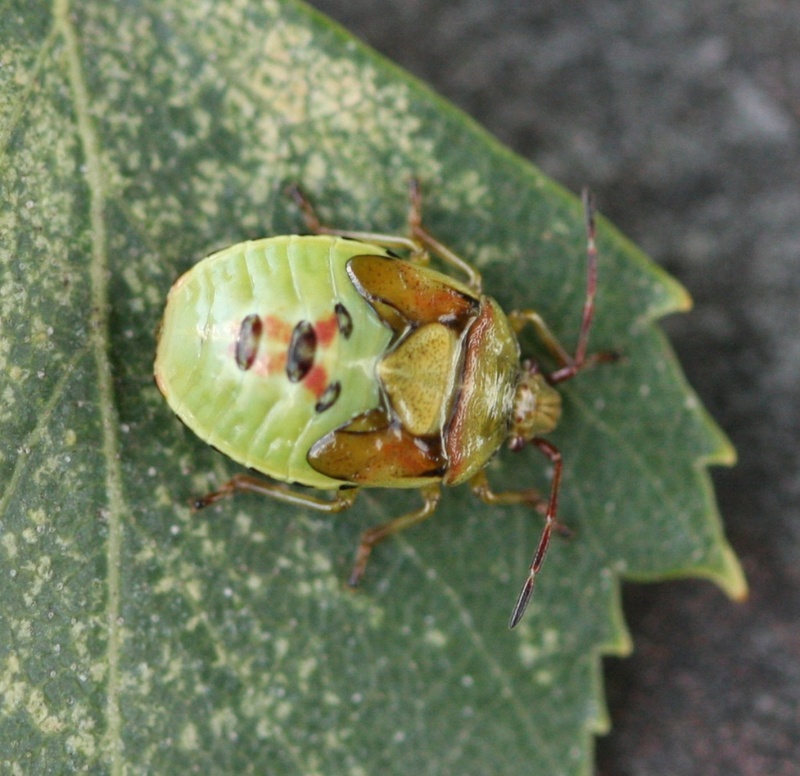 Common and widespread across Britain and Ireland.